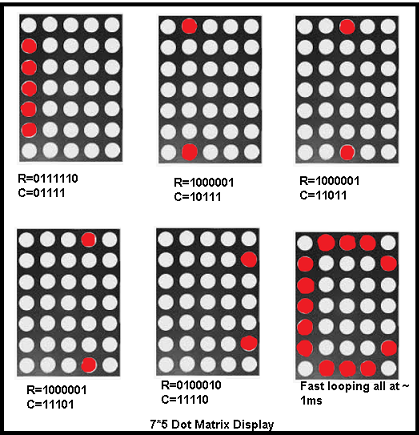 To know about Interfacing Dot Matrix led Display with PIC Microcontroller, we have to know about what is Dot Matrix Display? And how it work? 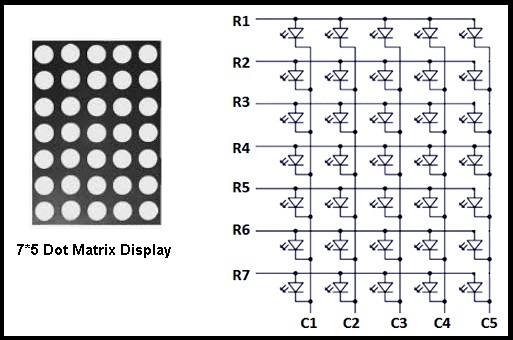 Dot Matrix Display is an array of LED situated in a form of Matrix. See the architecture of a 7*5 Dot Matrix led Display board. For display complete alphabet “C” we have to send those data with minimum delay to display at once. Another important think we have to keep in mind that for displaying column we need high current. because see in step 1 we are sending 0111110 so all 5 LED which have to glow in a same column so we need high current to glow all LED at a time. 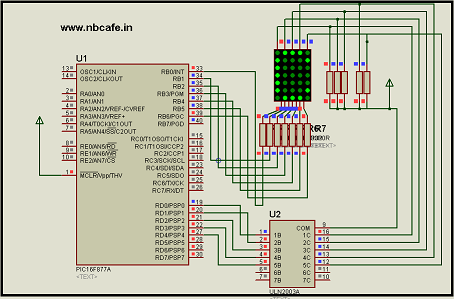 For this purpose we can use ULN 2003a IC which has seven built-in Darlington transistor arrays. 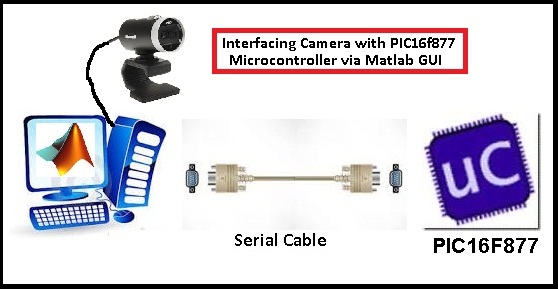 It can provide 50volt and 500mAmp current in single chanel. In bellow I give the simulation circuit diagram In Proteus. In bellow you will see the complete C code of this tutorial Interfacing Dot Matrix led Display with PIC Microcontroller for display Character “C”.